By 1961 Roy had become a well-rounded, full-fledged professional musician, and as is customary in nuturing African-American households, at twenty-one the keys to the door. As the adage goes, if you are blessed, when one closes another one opens. 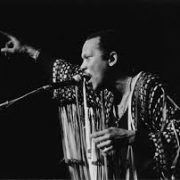 Fortunately for Roy, he had just begun to receive his musical blessings, as early in his career, he collaborated and performed with likes of Chico Hamilton, Teddy Edwards, Jack Wilson, Phineas Newborn and Gerald Wilson. Shortly thereafter, Roy made his recording debut with Curtis Amy, a highly regarded saxophonist, with whom he recorded “Way Down” and “Tippin on Through”.